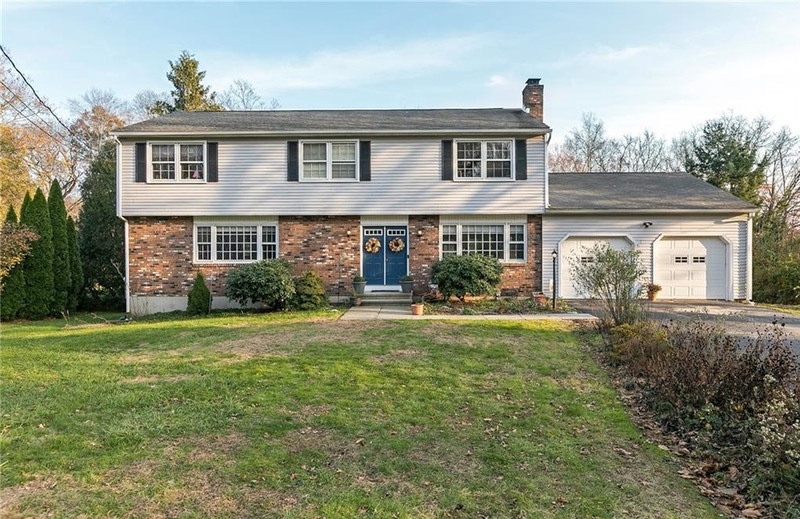 321 Canterbury Lane is a spacious updated Colonial located in a family friendly neighborhood just steps away from Lake Mohegan! Take a step inside 321 Canterbury Lane, the double entry doors lead you into a tiled foyer and center hall of the home. Through the foyer you will find a lovely Formal Living Room, complete with a brick gas fireplace. Adjacent to the formal living room is an oversized two car garage. 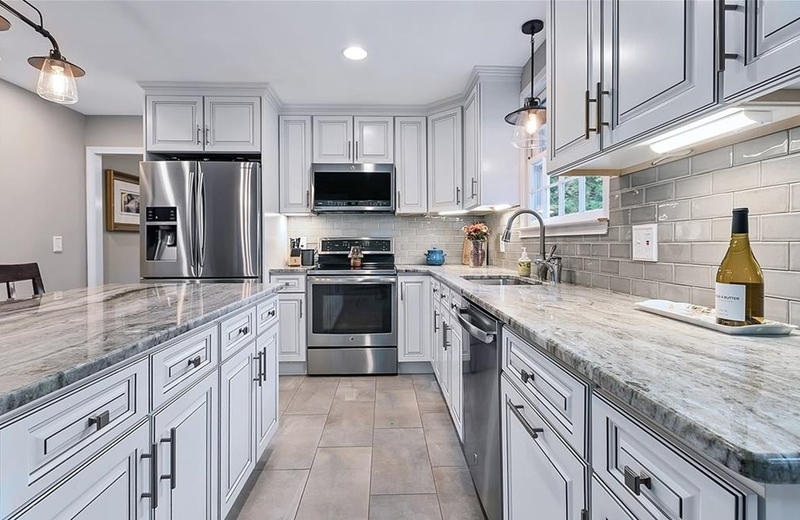 You will fall in love with 321 Canterbury Lane’s kitchen. This updated eat-in Kitchen is designed with amazing detail and is guaranteed to inspire your inner chef. It contains a large center island, stylish light fixtures and stone counter-tops. A Three Season Porch sits just off the Kitchen and is perfect for dining during warm months! The huge Family Room has enough space for all family activities with a large picture window that provides an abundance of natural light. The Laundry Room and half Bathroom, nicely tucked away, are the final touches that complete the Main Level. The Second Level features a spacious Master Bedroom with attached Bath and three additional spacious Bedrooms. There are two beautiful upstairs bathrooms that have been recently remodeled. The large Lower Level has been partially finished and has endless possibilities. 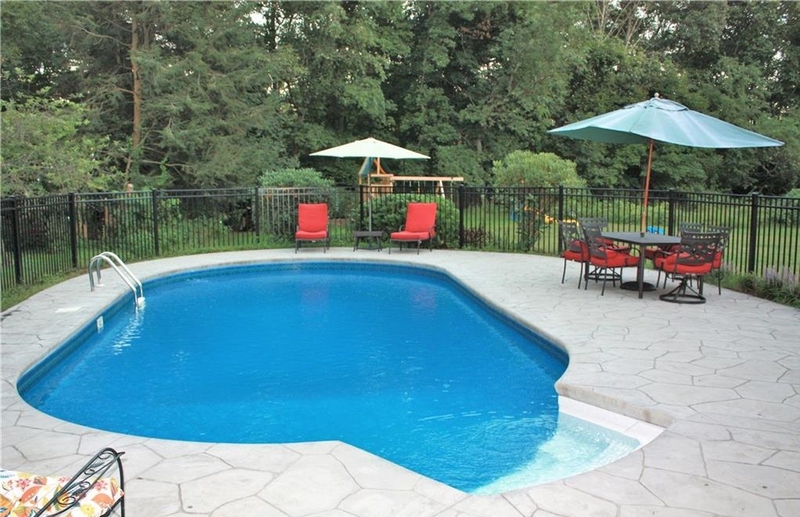 The large private backyard oasis has a heated in-ground pool, level grass and a brand new stone patio. Not to mention, the lush backyard backs up to private undeveloped wooded land. Enjoy biking, swimming or hiking at the Lake Mohegan Recreation area that is within walking distance. It is less than two miles from the Black Rock Shopping area plus easy access to the Merritt Parkway. This lovely neighborhood is truly the hidden gem of Fairfield! For more information about this listing, check out this page or get in touch with Kelsey Keating at (203) 254-900. Or get in touch with the Vanderblue Team at (203) 257- 6994. If you want to know more about homes for sale in Fairfield, CT, visit this page.